Innovacera, as a technical ceramic manufacturer, has long-term cooperation in the research of ceramic materials with professors or researchers from universities and institutes in China. On 15th July, Innovacera was highly pround to annouce that a new Boron Nitride ceramic material , named as ZSBN, has been developed under the cooperation with 2 university professors in China, Professor Mr.Huang and Professor Mr.Chen, who have been specializing in the research of technical ceramic materials for more than 10 years. 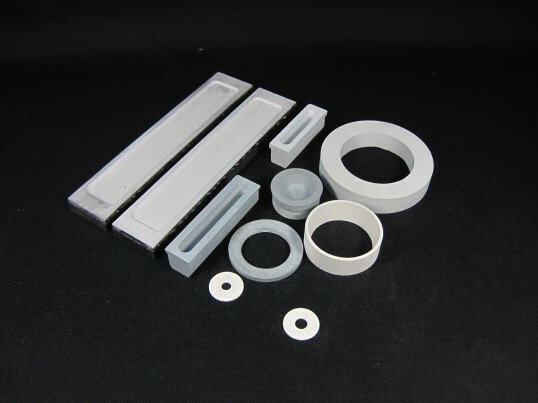 ZSBN boron nitride is developed for the increasing demand of applications requiring the combination of high temperature, excellent thermal shock resistance and excellent wear resistance. It’s a composite material combining the best performance characteristics of hot-pressed boron nitride and zirconia(HPBN+ZrO2>99%), in addition, a little SiO2.